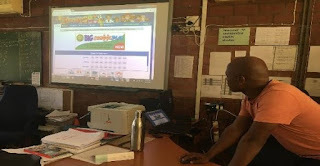 In a previous blogpost we reported on teachers from 12 schools in KwaNdengezi who received professional development in using digital resources sponsored by the Rotary Club of Pinetown. These professional development workshops took place in February 2018 and were intended to assist teachers to effectively integrate the use of curriculum-aligned digital content into their lessons. In March 2018, SchoolNet’s Hlengiwe Mfeka followed up with support visits to schools to see how teachers were integrating digital content across a range of subjects and phases and to provide on-the-spot support and just-in-time learning opportunities. 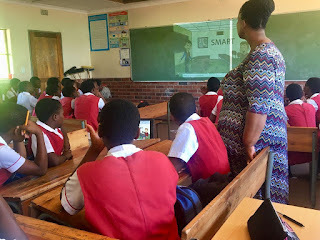 Hlengiwe’s school visits proved to be valuable; they contributed towards improving the teachers’ practical understanding of implementing and or integrating digital literacies in their lessons. Hlengiwe encouraged them to continue along this journey. For some of the teachers it was a daunting experience as they were embarking on digital learning strategies for the first time in their teaching experience. There were cases where some of the teachers presented a traditional lesson with no integration of digital tools or resources. This happened for a variety of reasons. It was also noted that some of the teachers used PowerPoint presentations confidently but with no fundamental change to their traditional telling method where learning is teacher-centred. The few teachers who had not managed to apply the learnings from the professional development sessions gave clear indication of the gap that sometimes exists when the facilitator assumes everyone has understood the concept perfectly but when teachers return to their own environment they are unable to implement what was covered. Sometimes other factors are responsible such as management resistance or lack of collegial support that can cause discouragement. These follow-up visits therefore encouraged these teachers and afforded them the opportunity to work on any flaws which had surfaced. 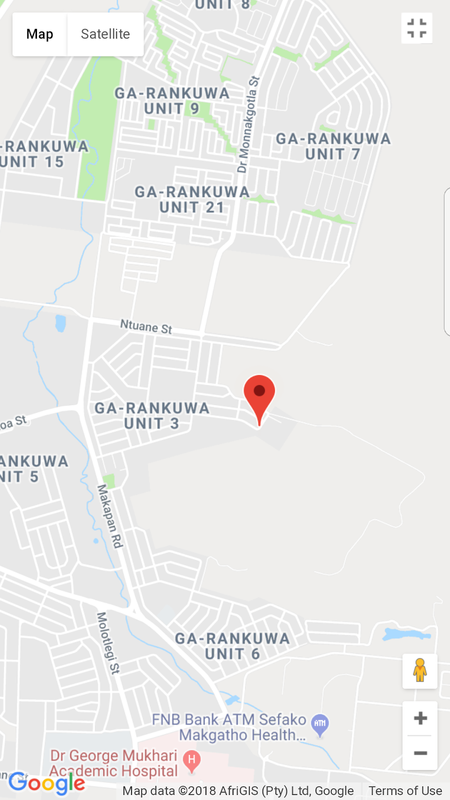 On the flip side, it was a very pleasant surprise for Hlengiwe to discover how teachers who might have seemed reserved during the training session were the ones who were shining and excelling in their classrooms. During each school visit, Hlengiwe met with the teacher before his or her lesson, observed the lesson taking place, and then spent time after the lesson to discuss reflections on the lesson. Schools with management buy-in were clearly identifiable because the principals would know about the visits, would ask about the project and would show interest in the outcome of the lesson observation. Some teachers also remarked on how they were supported by their principal and the SMT and some of these positive stories were videoed to motivate other teachers who are participating in the project. This project is destined to grow from strength simply because of the critical mass of teachers who are enthusiastic and committed. 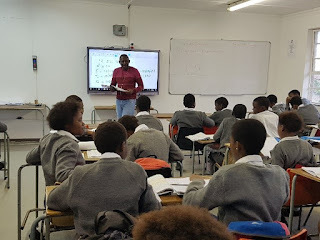 Read more about some of the KwaNdengezi teachers lessons here as well as a profile on Nozipho Mvubu - an exemplary Grade R teacher. This week, eleven South African teachers, are attending the E2 Education Exchange in Singapore. This prestigious conference brings together over 300 innovative teachers from around the world to share their best practices and to learn more about how to use Microsoft technologies in the Classroom. 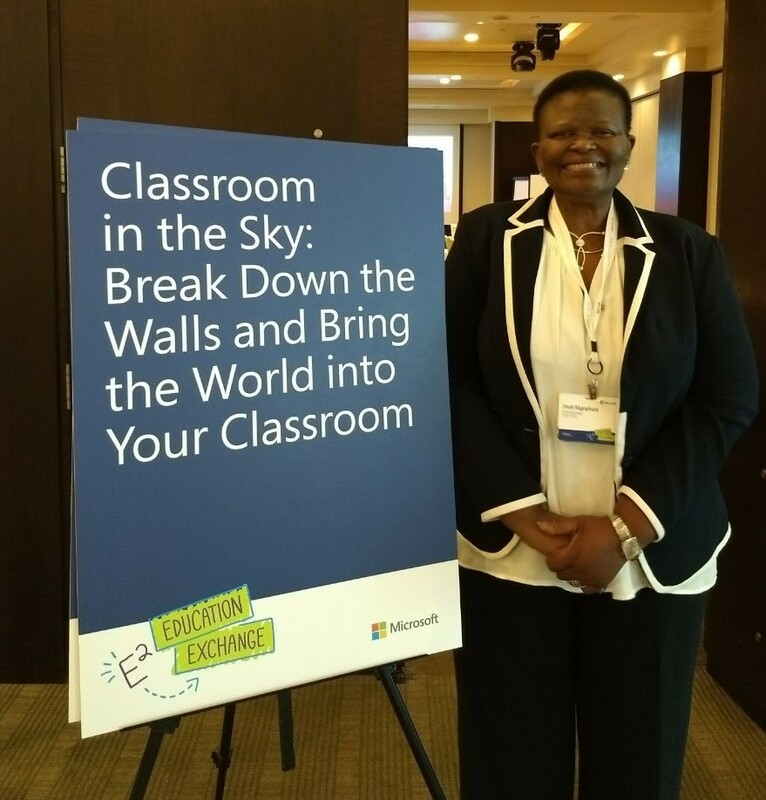 Phuti Ragophala, a Microsoft Fellow and passionate advocate of using technology to enhance teaching and learning, was selected to present a session on how she uses Skype to break down the walls and bring the world into the classroom at E2. 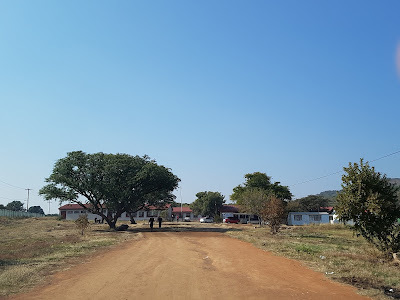 Phuti says: "After retiring from being a school principal at Pula Madibogo Primary School in Limpopo I recognized a digital gap amongst youth and educators in my community. From my home I am able to access many schools nationally and internationally to share innovative ways of learning and teaching using free Microsoft resources like Skype". 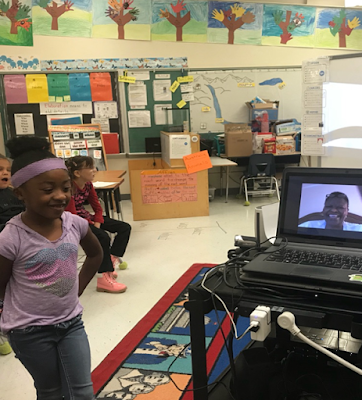 Through leveraging the power of Skype, Phuti has been a guest speaker to a class in Texas; she has spoken to children at the KAKUMA refugee camp in Kenya; and she has presented at Microsoft events and webinars. Phuti has also used Skype to be part of global collaborative projects on climate action and supporting victims of sexual abuse. Phuti leverages Skype in the Classroom resources to provide opportunities for children in her area to travel virtually beyond the dusty streets of Limpopo. Phuti and her learners have been part of a collaborative project with Middle school Zweetle in Austria; they have taken a virtual field trip to Florida to study turtles; they have played the Mystery Skype game with a class in the Ukraine; and they have discussed water problems with another MIE Expert's class in Japan. 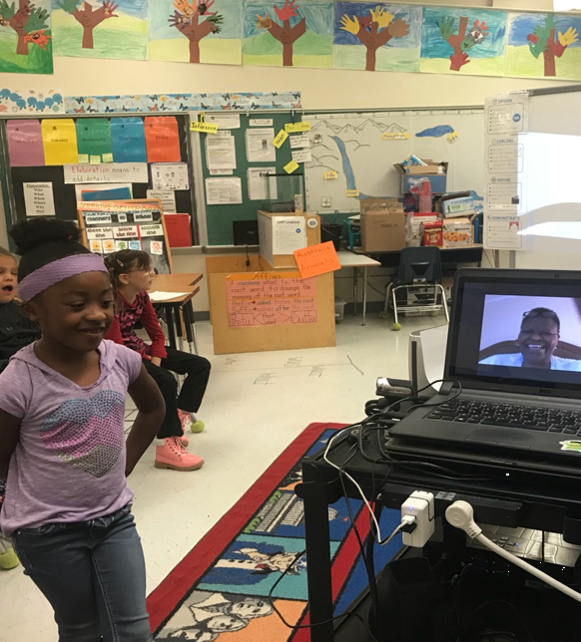 Whilst Skype is a powerful tool to connect classrooms and teachers with friends in other countries, there is still power in face-to-face opportunities to meet people from other countries. At a previous Microsoft Global Forum, Phuti and USA teacher Julie Hembree shared stories about their respective schools. 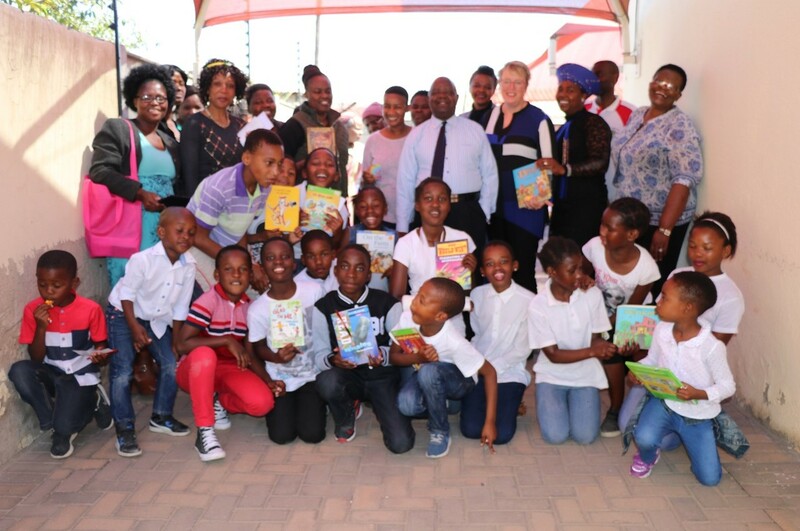 Julie was so touched by the lack of resources at Pula Madibogo that she organised book collections to be able to send reading materials to South Africa. She then listened to the Limpopo learners read to her via Skype and finally traveled to South Africa to meet them in person and to see Phuti's school first hand. We are sure that Phuti and the other South African teachers who are attending E2 in Singapore are busy making teacher-friends from across the world. We look forward to hearing how the E2 delegates are going to leverage these friendships and shared love for using technology in the classroom to set up collaborative projects in the future. We are sure that whatever they do, Skype will play a role in ensuring that teachers from different countries will be able to stay in touch virtually after the conference. To learn more about Skype in the Classroom - and to get your class involved in Mystery Skypes, Virtual Field Trips and Skype-a-Thons join the Microsoft Educator Community. In March 2018, SchoolNet SA's operations manager Omashani Naidoo visited two Port Elizabeth High Schools that are part of the Telkom Connected Schools project to see how they are using their digital resources and to provide some on-the-spot coaching and mentoring. Here is a round-up of some of the best practices that were observed where digital tools were being used to enhance teaching and learning. Ms Busi Hlongo, a Grade 8 Life Orientation teacher, was teaching a lesson on how media influences Sexual and Cultural Perspectives. The lesson was presented using the Smartboard and lesson plan prepared on PowerPoint. Mr QweQwe a Grade 8 Maths teacher was teaching a lesson on algebraic expressions. He was comfortable using the Smartbook and Smart Notebook software, and learners who did not have textbooks were able to copy examples from the Smartboard on to paper. Ms Magibisela, the grade 8 English teacher had downloaded an e-book on Narrative essays. Her lesson required learners to draw a Mindmap and to use the brainstorm strategy to plan the different aspects of what their essays. Even though learners did not have access to digital devices, there was a lot of interactivity between the teacher and learners and between the learners themselves. 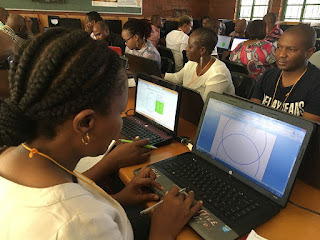 Ms Nokwazi Nokufa the Consumer Studies and technology teacher worked with Omashani to find a way to do 3D drawings using a mix of Word, the grid and ruler when the Smartboard software in her classroom could not access the 3D measurement and shape tools. Omashani also helped Nofuka connect to the Sun International Digital Hospitality materials which will help her in teaching Consumer Studies. Ms Nomakule Mahlaza the grade 8 Natural Science teacher proudly shared the YouTube videos that she has downloaded to help bring topics to life in her classroom. She told Omashani that she could stop any learner to ask them about topics she had completed including photosynthesis and respiration and the learners would be able to answer questions about them based on remembering the topics from the videos that they had watched. Mr Dasi the Grade 8 Maths teacher is very ICT literate, and uses the Smartboard with ease. 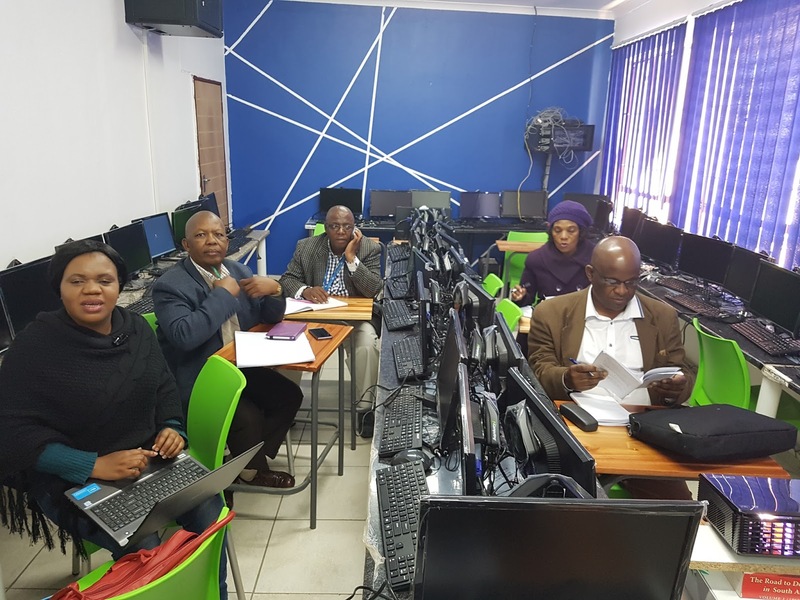 He says that he usually relies on the internet to complete online tests and assessments which are sourced from a joint project with the NMMU where curriculum resources have been developed for teachers in the Eastern Cape. Ms Lantu was teaching Natural science and working through Micro-organisms. The teacher had a PowerPoint presentaion prepared with images and links to online resources. Omashani showed her how to download and save videos to make her lessons even more interactive. 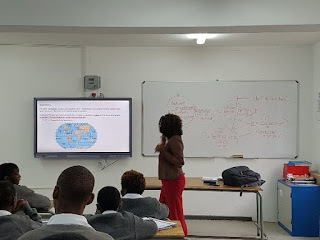 Ms Kawa the Geography teacher was using the Smartboard to teach her lesson on the rotation of the earth and the globe (latitude and longitude). The teacher had a lesson prepared, but went back to drawing on the screen alongside the Smartboard instead of using the lesson more creatively. Mr Doyi was also teaching a social sciences (Geography) lesson on the globe and rotation of the earth, and had shared the same PowerPoint as Ms Kawa. This is indicative of sharing of resources which is great to see. Oh how we would love to see these Geography learners playing Mystery Skype in the future as a fun way of testing their understanding of geographical terms. That would really keep them engaged and would ensure that they remembered the parts of the globe! Ms Mapikela was teaching Xhosa in the most exciting way. She downloaded a YouTube video about Umshato (Xhosa wedding) and the learners were alive in the class. They could all identify with the song and could also then interact when the teacher asked questions about the dress colours during different seasons. Ms Landiwe Mapapu taught a lesson in EMS about the National Budget and was able to show the breakdown of budget income and expenditure. 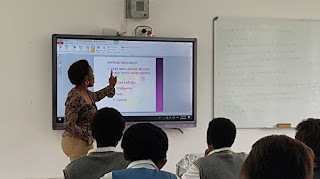 Ms Thembisa Ntlangiwini, the Technology teacher used the Smartboard and a prepared PowerPoint lesson to teach Structures. She used images of different structures so that learners could see the various structures in their everyday application. We salute the teachers of Ndzondelelo High School and Khwezi Lomso who are doing their best to fully utilize the resources that their schools have been given. We know that as these teachers gain in confidence and learn from one another and their training sessions that they will be able to enhance their lessons even further. 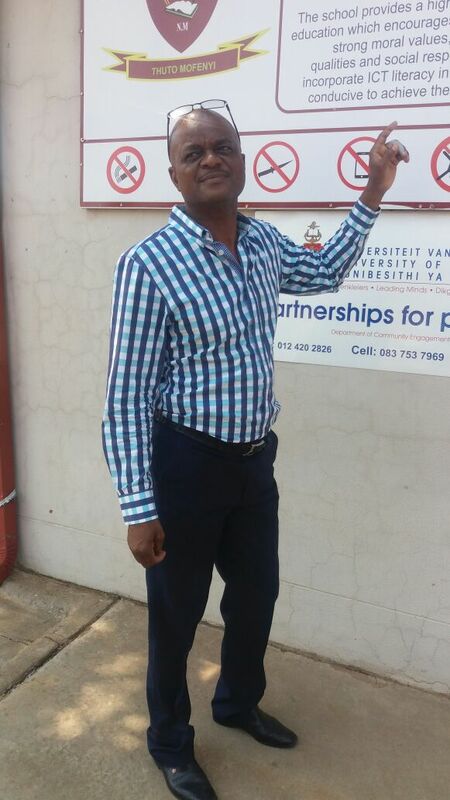 Mr Matshele of NM Tsuene Secondary School is an exemplary principal who leads by example. 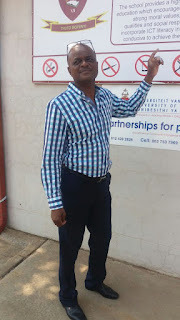 He has been attending the SchoolNet SA Change Leadership course as part of the Telkom connected schools project. 1. Accept criticism – accepting criticism is a sign that one is willing to learn and become better at what they do. 2. Sacrifice – A good leader leads by example. If the principal tells his staff to attend training on a Saturday then he too must be willing to attend training. Even if the focus of the training will be on teachers, the principal must attend to motivate his staff members. The same applies for early learner support lessons, the principal is supposed to encourage learners to attend morning classes by being there for them. 3. Be prepared to learn new things and be ahead were possible – A good leader learns and grows with his staff members and where possible he must learn more so that he can help those he is leading. When we interviewed Mr Matshele, his passion for teachers and learners at his school was clearly evident. In knowing that change is inevitable Mr Matshele helps his staff accept change better by being supportive, leading by example and caring for his staff members. Circumstances have also forced Matshele to learn digital skills and he acknowledges that teachers need to learn these skills, and share them with their learners, to be more efficient and to communicate more effectively. Matshele says that two years ago he could not write an e-mail however the changing society and the need to be a global citizen has prompted him to learn how to write and send e-mails. Communicating with parents has become easier using e-mails and WhatsApp as teachers are no longer dependant on learners passing messages on to thier parents. Learning how to use the different Office Applications, such as Excel, enable teachers to do calculations more quickly and without errors, when compared to calculating manually. It takes some effort for schools to implement any new skills and this is why NM Tsuene teachers and school leaders make time for meetings to discuss changes that they need to implement at the school. These meetings are sometimes informal yet they are useful for teachers because this is where they learn from each other. Having ICT devices and service providers who are there to help teachers to build their skills helps rejuvenate their intended accomplishment of the school vision. 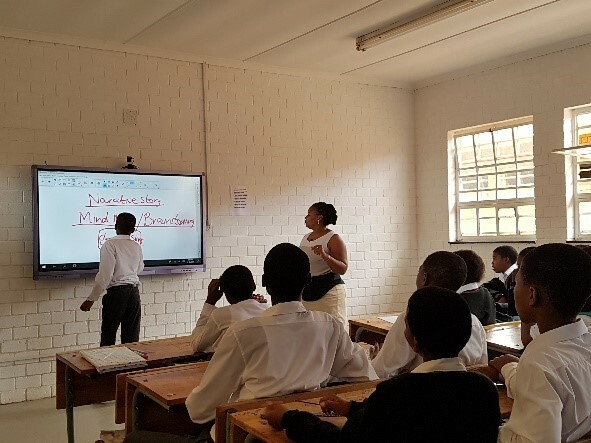 Teachers at NM Tsuene are motivated by the generous sponsorship by Telkom Foundation – each of the Grade 8 classes received an interactive board and learner tablets for teaching and learning. 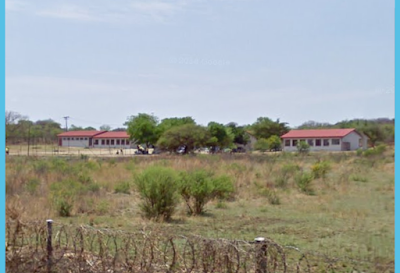 Sadly, the learner tablets were stolen from this school in a burglary, however this has not changed the teachers enthusiasm towards technology and the school is constantly seeking ways in which they can recover what they have lost through civvies day donations and other creative ways of fund raising. This picture shows the teachers of NM Tsuene working in their computer lab before the burglary. We look forward to hearing more about what this inspirational principal and his staff members are able to achieve at NM Tsuene. 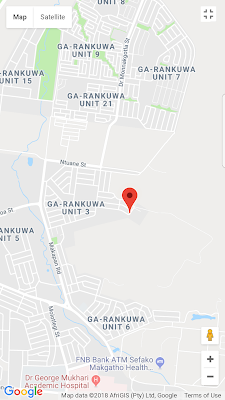 NM Tsuene Secondary School is a small school nestled in Ga-Rankuwa unit 3. The school is part of the Telkom connected schools project and it stands out because teachers at the school are keen on learning and are very positive towards using technologies in the classroom for teaching and learning. The principal at the school Mr Nicholas Matshele is a hands-on principal who also teaches Grade 12 Life Sciences. Mr Matshele admits that he may not have the best administration skills however he believes that his passion for teaching sets him apart from other school principals and helps him to understand the daily challenges that his teachers face in the classroom. He says, “I love a peaceful environment where there are no ego-related issues”. At NM Tsuene staff are united in ensuring learners pass - even if this requires sacrifice at times. Mr Matshele belives in supporting his staff as when people are supported they feel important which makes working together (and running a school) an easier task. Staff members at NM Tsuene are growing in leaps and bounds especially since some of the training interventions they have received from SchoolNet SA. 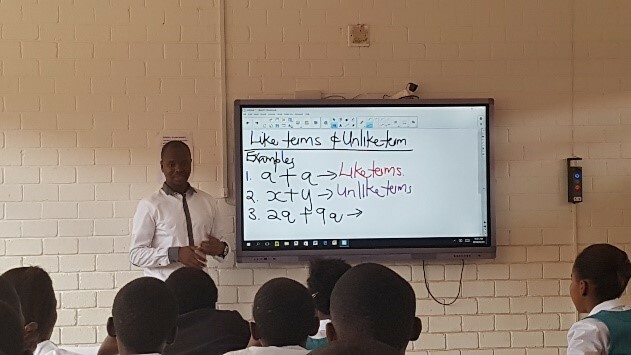 Mr Matshele attests that he has seen a remarkable change in some of his staff members, with some teachers showing leadership skills that he didn’t know existed in his school, and others having the opportunity to identify their talents and start using them. This is yet another milestone because it means that Mr Matshele can now delegate some of his work to teachers if the SMT members are not available. 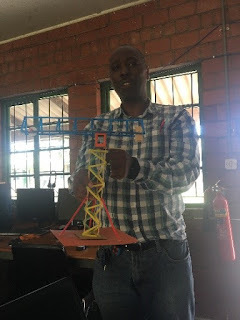 During the Change Leadership for Technology Integration training, NM Tsuene’s SMT was tasked with reviewing their school vision and after much deliberation the team decided to create a new vision which would symbolise a change in how they would now teach and learn. SchoolNet SA is proud to be associated with NM Tsuene and we have enjoyed working with Mr Matshele and other staff at the school. We look forward to helping this school achieve its vision.